Pelenna Patchworks: January sale and new quilt panel! January sale and new quilt panel! 50% off all knitting & crochet tools - these ranges are being discontinued so pick up a bargain while you can! 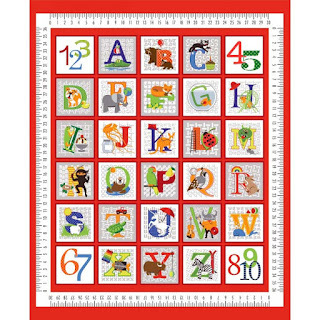 Plus - new in today is the Fun with ABCs quilt panel, a fun and educational panel that would make a great playmat or wallhanging/height chart!